Congressional leaders are pressing their case against environmental activists who are closely aligned with Chinese government officials. In a letter Wednesday to the Washington-based World Resources Institute, Reps. 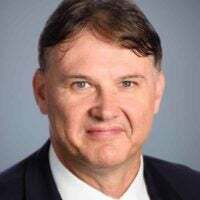 Rob Bishop, R-Utah, and Bruce Westerman, R-Ark., ask the leader of the nonprofit international research group to document compliance with federal law covering agents of foreign powers. While WRI criticizes policies of the U.S. government, WRI is silent on Chinese human rights violations such as arrests of environmental protesters and the mass detention of ethnic minorities. By contrast, WRI advocates on behalf of the rights of indigenous peoples and ethnic minorities in other countries. On important issues for Chinese leadership, WRI’s position appears to closely reflect China’s goals and objectives. Bishop is chairman of the House Natural Resources Committee and Westerman is chairman of its oversight and investigations subcommittee. The two congressmen’s letter to Andrew Steer, president and CEO of World Resources Institute, notes that the organization has operated in China since 2008. China Daily is an English-language newspaper that is registered under the Foreign Agents Registration Act, the letter says. The two House Republicans quote FBI Director Christopher Wray as calling China “the broadest, most challenging, most significant” counterintelligence threat to the U.S.
For this reason, Bishop and Westerman argue, “the apparent strong ties between the People’s Republic of China, the ruling Chinese Communist Party, and certain U.S.-based tax-exempt organizations” warrant clarification and investigation. Steer, an economist from Great Britain, previously worked as a special envoy on climate change for the World Bank. 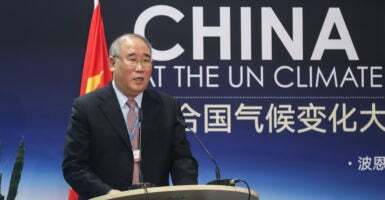 He is a member of the China Council for International Cooperation on Environment and Development, an advisory body sanctioned by the Chinese government. Bishop and Westerman set a deadline of Sept. 12 for Steer to respond to the request to document compliance with the law. In order to respond to the world’s most urgent sustainability challenges, it’s vital to work in the world’s developing countries and major economies, including China, the world’s most populous country. We are proud of our work in China, including on issues related to air pollution, traffic congestion, and water quality. We welcome the opportunity to respond to the [Natural Resources] Committee’s letter, as we vigorously pursue our goal of making the planet safer, healthier and more prosperous for all people. World Resources Institute, founded in 1982, received its initial funding in the form of a $15 million grant from the John D. and Catherine T. MacArthur Foundation. In June, the Natural Resources Committee sent similar letters to two other environmental advocacy groups, the Natural Resources Defense Council and the Center for Biological Diversity, asking questions about their relationships with China. The letters also asked whether the two groups were in compliance with the Foreign Agents Registration Act, and to provide documentation. Both complied with June deadlines to submit information detailing compliance. Neither the Natural Resources Defense Council nor the Center for Biological Diversity is registered as a foreign agent. Both maintain they operate in America’s national interest despite their close ties to foreign governments and litigation against the U.S. military. One point of contention raised in the House Republicans’ letter to Steer and World Resources Institute concerns the Paris Agreement on fighting climate change in 2016, which was reached under the Obama administration. Bishop and Westerman note that the research group praised China’s stated commitment to begin to reduce greenhouse gas emissions by 2030. At the same time, the institute criticized Trump administration policies for resisting and pulling out of the international climate deal. The congressmen argue that China’s pledge to reduce emissions was not genuine, while the Trump administration recognized that the Paris Agreement would have dire economic consequences. On important issues for Chinese leadership, WRI’s position appears to closely reflect China’s goals and objectives. For instance, WRI promotes China’s controversial Belt and Road Initiative (BRI), a multibillion dollar global infrastructure plan designed to increase China’s global influence. WRI portrays China’s BRI as an opportunity for environmentally sustainable development and to strengthen environmental protections. Environmental groups from countries where BRI-financed projects are located and other experts, however, describe Chinese-funded projects as causing “permanent environmental degradation” with no positive impact on environmental governance. The Johnson bill also would clarify reporting requirements, authorize investigative tools, and establish enforcement safeguards. Sen. Chuck Grassley, R-Iowa, chairman of the Senate Judiciary Committee, has introduced a companion bill.